New and available now Wet N Wild Beauty MegaGlo Highlighting Powder Shades. 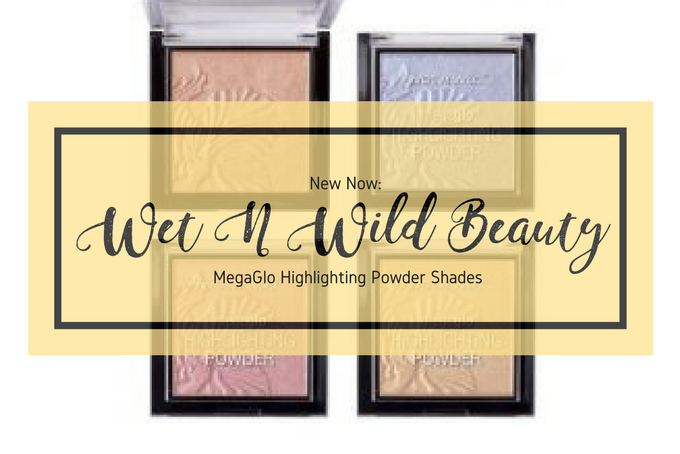 A couple of days ago Wet N Wild Beauty gave us a sneak peek via their Instagram feed (click here to see) that featured fan favorite MegaGlo Highlighting Powders. I own both of their very popular shades that are Precious Petals and Crown Of My Canopy. I absolutely love the formula and of course the glow. The new shades look beautiful and thanks to Refinery29 we can all get a peek of what they look like on different skin tones. So beauty lovers, are you excited for the Wet N Wild MegaGlo Highlighting Powder shades? Will you be getting your hands on them, please share your thoughts below.